I'm a teacher and an aspiring author. A lover of stories and history. A destroyer of stereotypes. A giver of advice. A sister, a wife, and a loyal fan of chai. So, here it goes. I was born and raised in Australia, but my parents are from Sri Lanka (the tear drop shaped island underneath India). I currently live in Los Angeles. Also, I'm a Muslim. I've wanted to start a blog since, well, forever. But sharing my work has always terrified me. The thought that someone might think my work tasteless or not appreciate the complex message behind a simple sentence too often makes me hesitate to put pen to paper. Exposure therapy? The best kind. 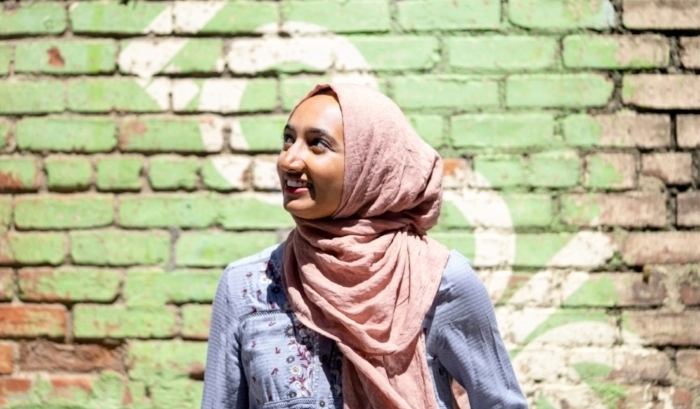 Born to immigrant parents and being a visible Muslim, I've also realized that writing can be a powerful tool for me to open the door to other people and show them how my life is similar or different. I want to reach out to people I may never meet face to face, and exchange salam, peace. Islam inspires me to reach for excellence in everything I do. You will often find me with a pen and notebook, jotting down gratitude points, reflecting on weaknesses or trying out new crazy routines to make me the best person I can be. So here I am. Come inside and make yourself at home.